​As every type of event can vary, a consultation and quote can be provided to meet your specific event needs. 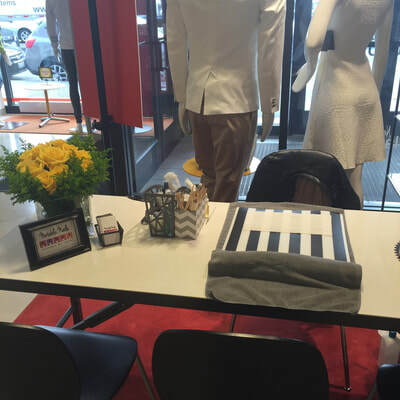 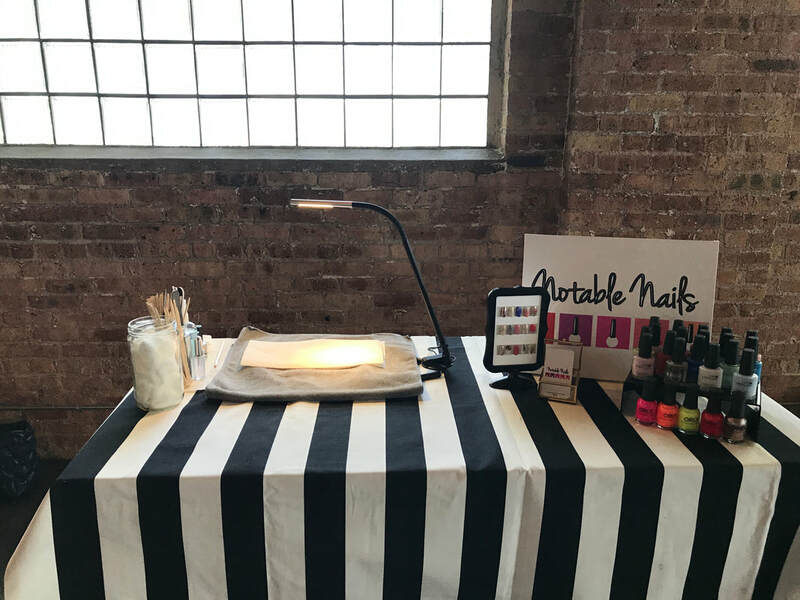 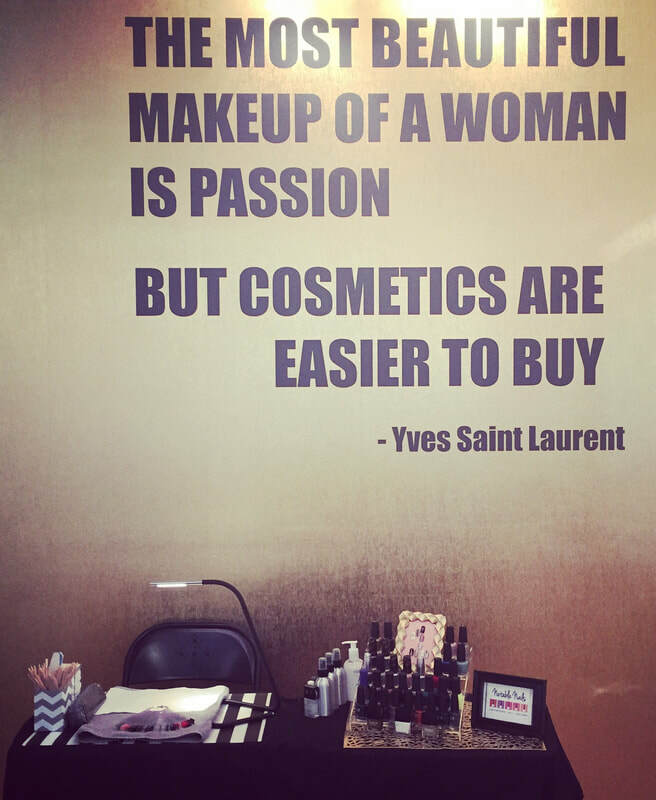 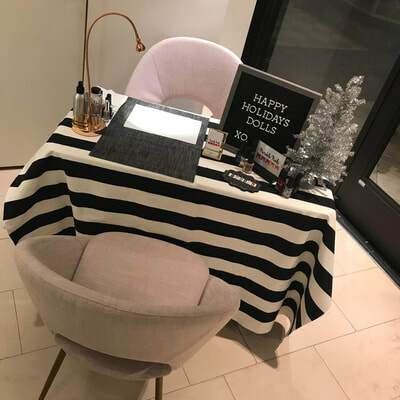 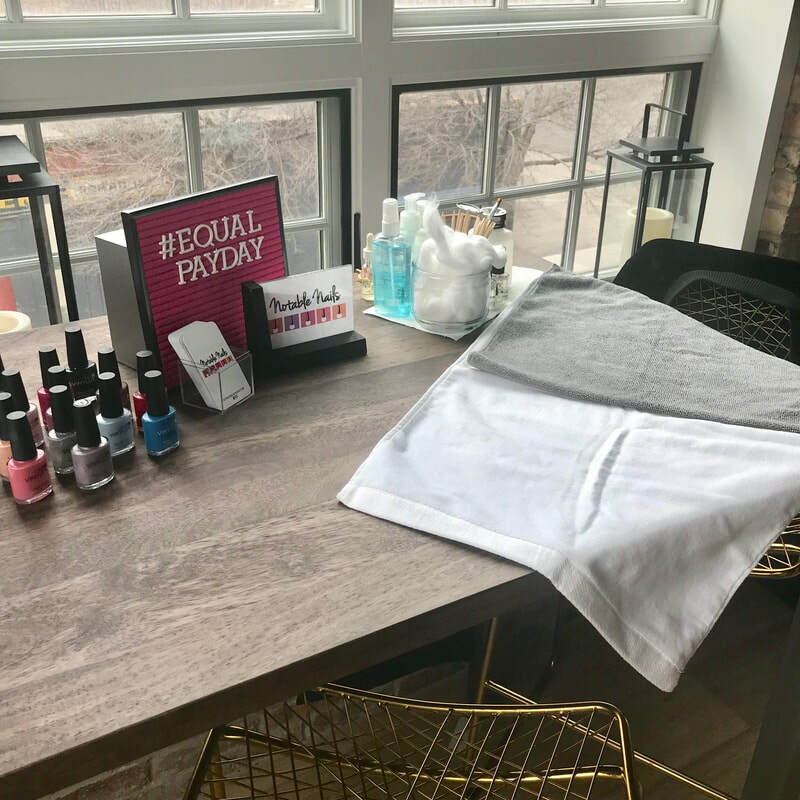 Corporate, promotional or private events are usually attended by large groups, therefore, it is standard that a manicure bar setup would be the most efficient way to service multiple guests on a first come/first served basis at a time. Express Manicures are the most requested and recommended manicure service for events with large attendance. 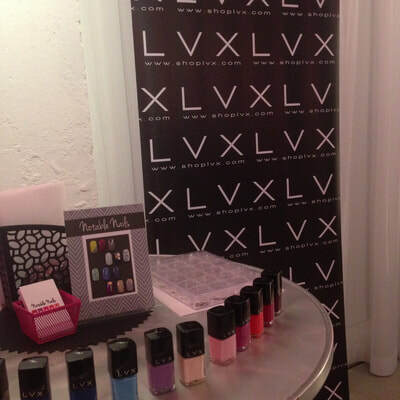 Custom Nail Art menus can be created by request to represent your event theme/purpose. Below is standard pricing, broken down by reservation fee, lead nail artist hourly services and assistant nail artist hourly services. It is at your discretion to determine how many nail artists you would want on hand and for how long. 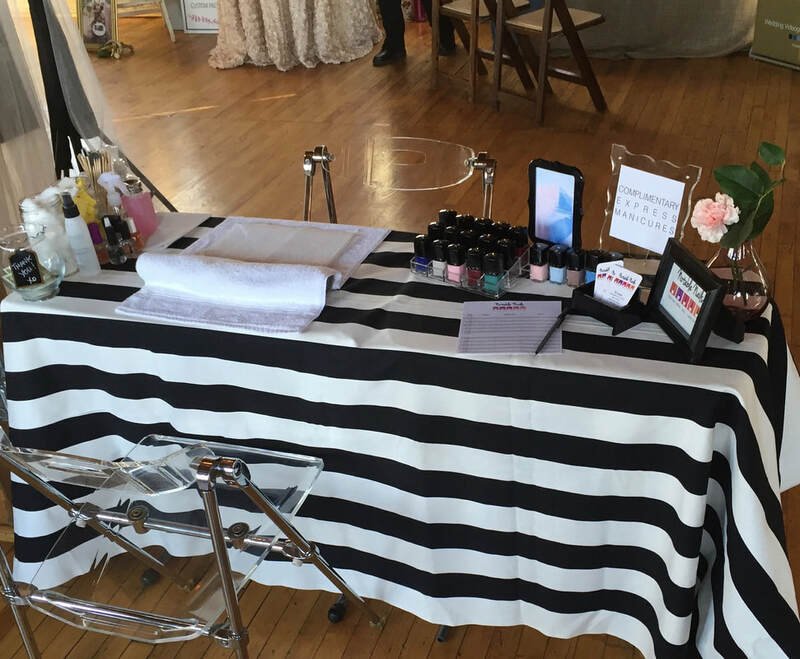 Each nail artist can average 3-4 Express Manicures per hour dependent upon the flow of event. 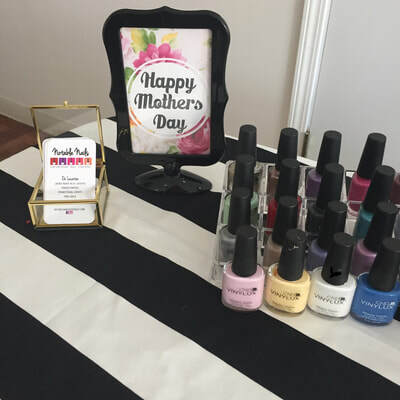 Times may vary where Nail Art is involved. Mileage over 15mi each way, parking charges for valet or other incidentals, ​ not included in fees above.